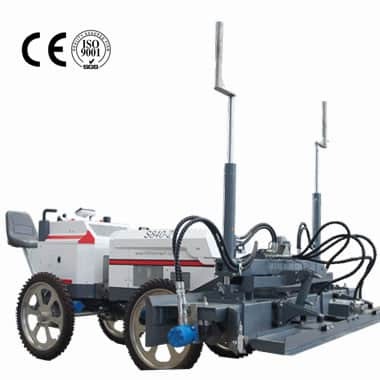 HIKING Laser screed Company is a comprehensive enterprise specializing in R&D, manufacturing, sales and technical services of the concrete laser screed machine. It has a professional technical team with excellent professional knowledge and years of research and development experience, making it possible to produce the concrete screed machine featuring excellent quality and leveling effect. Thanks to the excellent performance and the lower price, the company's products have been sold to more than 20 countries around the world, and the company has agents and partners in many countries. At present, HIKING has established good relations with professional importers in Romania to assist customers without import experience to purchase our products without any worries. The Chinese representative of the Romanian importers came to our company to inspect the goods and to test the products. a) Our company has many years of research and development and production experience. After years of improvement and upgrading, the electronic control system, mechanical and hydraulic systems of our products have achieved a perfect match. Mature products ensure their quality and effect. b) The main parts of the company's products are purchased from world-class manufacturers, which ensures the reliability and stability of the products.